Virtualization is considered as an abstraction of hardware. It summarizes hardware and offers a predictable hardware set to operating systems. It is often thought that virtualization adds more complexities, but rather, it makes things simpler. Computers, computer peripherals and operating systems are highly complicated; and virtualization creates standard interfaces that remove layers of complexity and brings simplicity. One of the remarkable additional features is abstraction of storage and memory, and to take a snapshot of functional systems and save in a file. Imaging feature gives way to many capabilities like to snapshot of system before installation of software, patching and changing configuration. It helps in quick restore if something goes wrong. Though this might look as a negligible feature, it is a key feature and increases the reliability of overall system. Snapshot makes it easy to test various features, repeat testing or roll back to previous versions, and achieve your goals in non production environments. Snapshot abstraction leads to the ability to keep backups in image based format. Such types of backups help in restoring the system easily and quickly without any additional interface. All hypervisor makers do not add this feature and, therefore, it is important to consider how this feature is added. HyperV has this feature fully; XenServer adds it partially, whereas VMware vSphere adds it with a paid license. If image based backups are offered, they allow a much faster recovery than other forms of backups. It is possible to recover entire system after a disaster in few minutes. Virtual machines can be treated as files when these are not running actively. This feature helps in migration between dissimilar hardware and physical hosts. Conventionally, hardware upgrade or replacement is a very difficult and risky migration procedure. When contemporary virtualization is used, however, it offers non-destructive and reliable system to move hardware with negligible or zero downtime. Due to virtualization, jobs that were risky and complicated in past have become insignificant today. Some virtualization features are appropriate for specific scenarios. Virtualization products offer tools to move workloads between different storage devices or host without facing downtime. Presence of fault tolerant options allows workloads to recover by moving from disastrous hardware to superfluous hardware without interference from users. There are many additional features of virtualization and one of the significant features is consolidation. Just like other features, consolidation is not considered as central feature. Consolidation is responsible to give flexibility while handling workloads. Virtualization gives standardization, flexibility, stability and manageability. While buying virtualization products, analyze the value of the product against its expenditures. 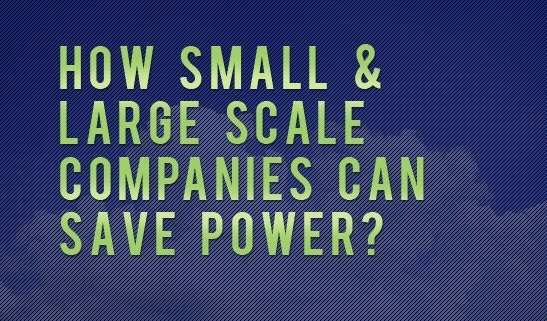 How Small and Large Scale Companies Can Save Power? In data centers, rack servers use maximum energy. Most of these servers operate at just 20% capacity at any given time. However, these servers consume full power round the clock. If you are replacing existing servers or have decided to buy new ones, it is good to search for variable speed fans. As compared to constant speed fans, variable speed fans scale up or down based on load peaks. You can also pick certified power saving servers, which are about 30 percent more effective than typical servers. Mechanical drives use more energy, therefore, Solid State Drives (SSDs) are selected to achieve power efficient system. SSDs do not generate much heat, and as a result, variable speed fans work at slower RPM. Mechanical drives will remain in data center until and unless SSDs become capable to store multi TB of data. Same is the case in RAID arrays, where mechanical drives are leading the system. Many IT managers use mechanical drives by disabling features related to power management. When servers are set in sleep or idle mode, it might cause performance issues. Another effective tip for power saving is the installation of power supplies for each rack, as opposed to each server. Even older power supplies can give 60 to 70 percent efficiency rating. On the other hand, advanced and contemporary power supplies can give about 95 percent power efficiency. Though these power supplies are expensive, they can help in reducing cooling costs and power consumption for longer time period. Consumption of power is directly proportional to the number of devices in the data center. If you do not need to use saved data on frequent basis, SAN and NAS are the options applicable for storage devices. You may consider servers that are less utilized for data storage; however, additional cooling requirement and CPU resources consume more energy than SAN and NAS. To improve server utilization, self-regulating operating systems are used. Though operating cost is incurred in virtualized environment, it is negligible when compared to the power efficiency. Virtualization is responsible to free rack space, low cooling cost, and minimizes the number of cables by simplifying the networking requirements. Overcrowding of cables causes hindrance in distribution of air across data center. If cables are managed properly, it helps in running servers at desired efficiency level. In the absence of appropriate airflow and ventilation, fans are required to work harder. Remove unnecessary cables for proper distribution of air in each rack and server and try to build a customized cable trench to hold your cables. https://datadepositbox.com/wp-content/uploads/2015/09/small-large-companies-save-power.jpg 335 547 datdepbox https://datadepositbox.com/wp-content/uploads/2018/08/datadepositbox-logo.png datdepbox2015-09-21 10:21:252015-09-21 10:21:25How Small and Large Scale Companies Can Save Power? 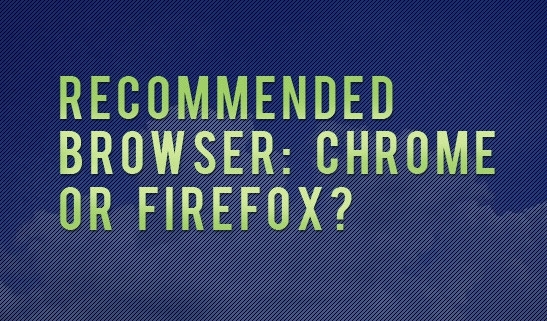 Recommended Browser: Chrome Or Firefox? In 2008, Google launched most popular and commonly used browser, named as “Chrome”. At the time, there were many other browsers, such as Mozilla Firefox, IE and Safari that were widely used. Question arises whether selection of browser in this competitive market can make some differences? In current scenario, Microsoft IE is replaced by browser Edge. Even the Edge is not fully compact browser, as it is still in developmental stage. As far as Safari browser is concerned, Apple is no more releasing versions on Windows. Therefore, Firefox is the only browser that can be compared with Chrome to know the differences. Firefox is an open source and free of cost browser. In 2009, above 47% users were getting support from Mozilla Firefox. Now the number is reduced to 20% as most of users have selected Google Chrome. Firefox has launched many versions within the last few years to imitate simple and clean look of Google Chrome. In modern world, all browsers have similar feature and offer bookmarks, saved states, tabbed browsing, download managers and integrated search engines. Usually, selection of a browser depends on individual preferences. One of the interesting features of Firefox is extensions. Through extensions, more features are added for browsing such as URL shorteners and ad blockers. Users are given choice to modify the browser look by changing the theme. If you are interested in themes or extensions, you will prefer to use Firefox. Mozilla Firefox manages extensions to make removal or addition easy for users. Users can synchronize history, bookmarks, installed add-ons, and open tabs by using Firefox Sync feature. First version of Google Chrome was released in 2008 when opposing browsers were giving additional features like HTML editors and email clients. Chrome has marked its position by giving streamlined, clean and user friendly browsing experience. Google Chrome has gained popularity by leaps and bounds. Now, it holds almost 51% of market. Growth of Google Chrome is supported by Android users. They are given a platform to synchronize history and bookmarks across Smartphone, as well as PC with Windows, Linux or OS X. Though Firefox offers similar features as Chrome, users prefer Chrome for matchless options for synchronization. Omnibox is an appealing feature that compels users to rely on Google Chrome. It displays search results inline as you type in the keywords. Moreover, Chrome’s integration with most powerful search engine is another appealing factor that does not let users to switch to another browsers. Do you like Google’s services like Maps, G+, Gmail and YouTube? You will love to integrate these services with Google Chrome. Chrome also comes with many extensions to establish new features; however, the list of features is shorter than Firefox. What is more surprising for users is the ratio of memory usage. When same websites are launched on Mozilla Firefox and Chrome, Firefox uses three to four times more memory than Google Chrome. Google Chrome is, therefore, faster than Firefox, as long as you can manage the memory usage of the extensions. https://datadepositbox.com/wp-content/uploads/2015/09/3e6e324f9ab3f98364735b07de6fb1c3.jpg 335 547 datdepbox https://datadepositbox.com/wp-content/uploads/2018/08/datadepositbox-logo.png datdepbox2015-09-15 12:11:232015-09-15 12:11:23Recommended Browser: Chrome Or Firefox?